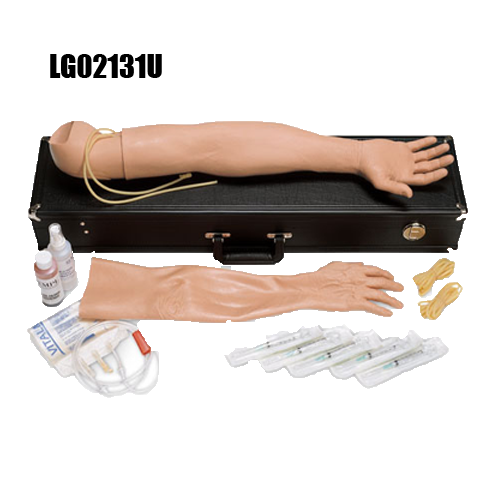 IV Training Arms and Phlebotomy Aids allow healthcare professionals to practice phlebotomy on life-like models. These models can be punctured hundreds of times before the veins or skin need replacing. 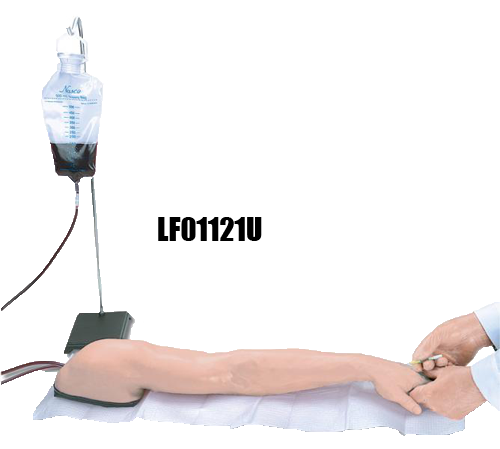 IV Training Arms and Phlebotomy Equipment by Nasco are a great way to practice I.V. therapy. 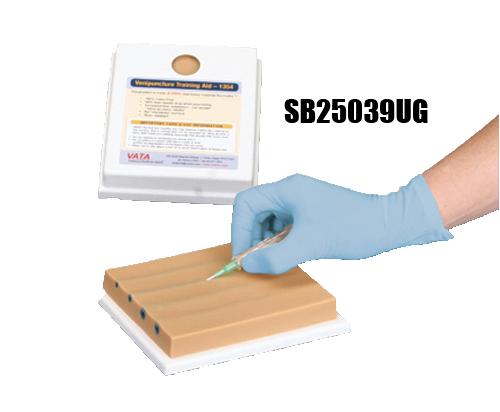 Most models are suitable to practice intramuscular and intradermal injections. 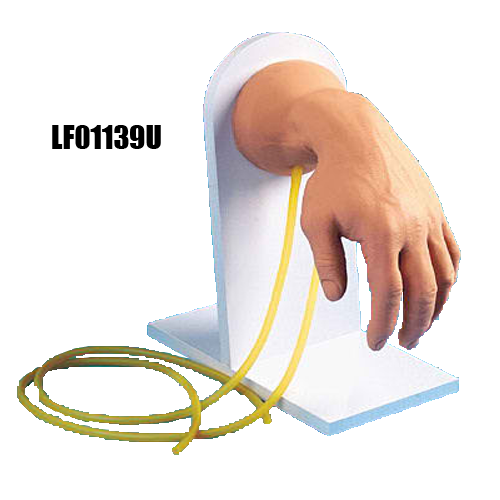 See more training aids and hospital equipment. Includes injectable metacarpal, digital, and thumb veins. Uses any catheter, size 16 fr or smaller. Comes with anatomy diagram, storage box and three-year warranty. Veins and skin are replaceable. Hundreds of injections can be performed before veins and skin need replacement. Allows complete I.V. therapy access with intramuscular and intradermal injection sites. 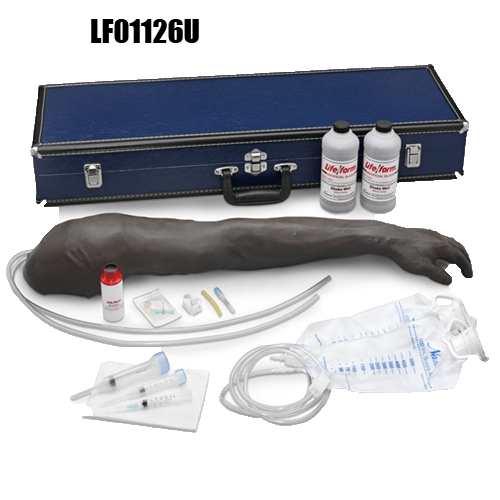 Venipuncture can be done on cephalic, basilic, accessory cephalic, and median antebrachial veins. Professionals can venipuncture the antecubital fossea or dorsum of the hand. Peripheral I.V. line insertion and removal is also possible. This item allows peripheral I.V. line maintenance, which includes the availabiility to assess and rotate the site and dressing, and give solution and tubing change. Model contains blue veins which are not very noticeable through the tissue-like, semi-transparent material. These training aids, made with Dermalike™, give 50% less needle drag on access and are made with improved tear resistance. This allows more needle "sticks." These aids are easily transported, do not stain, economical, and lightweight.